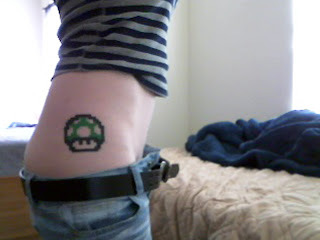 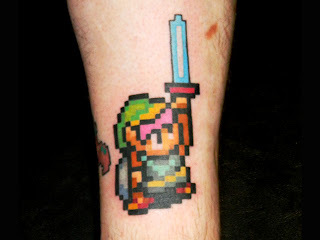 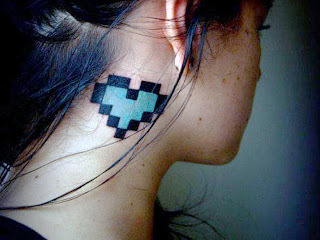 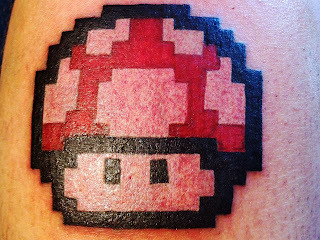 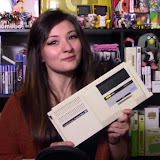 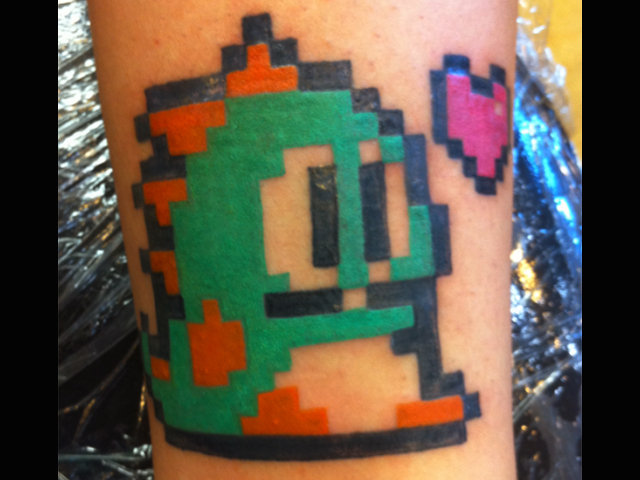 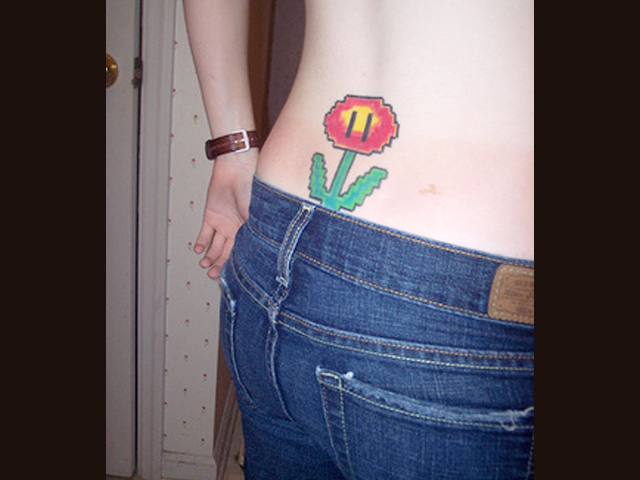 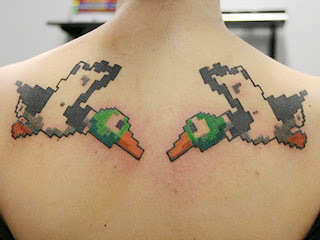 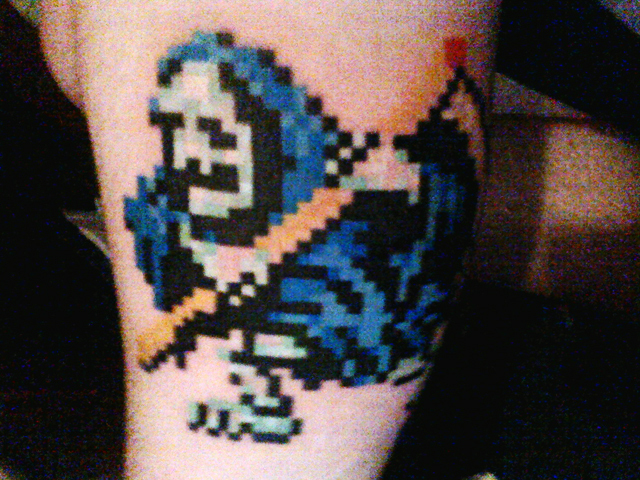 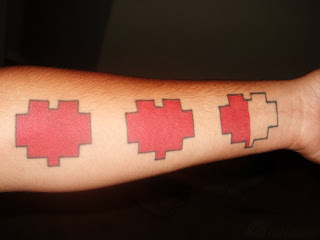 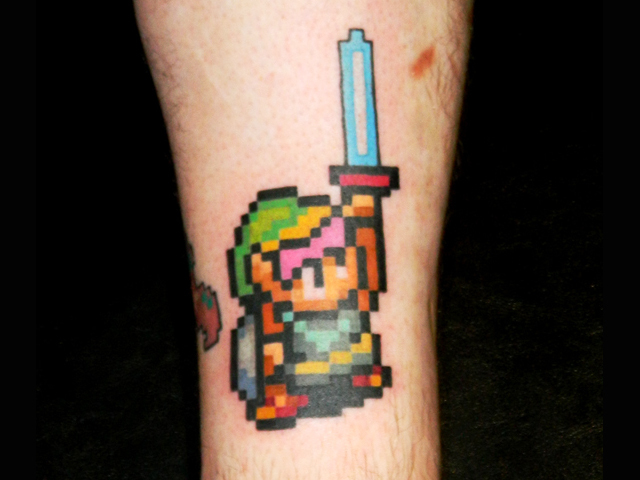 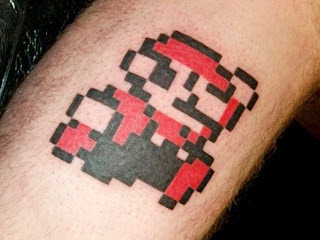 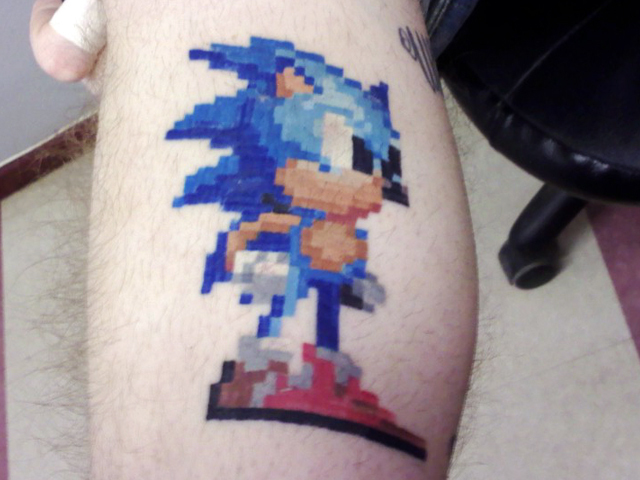 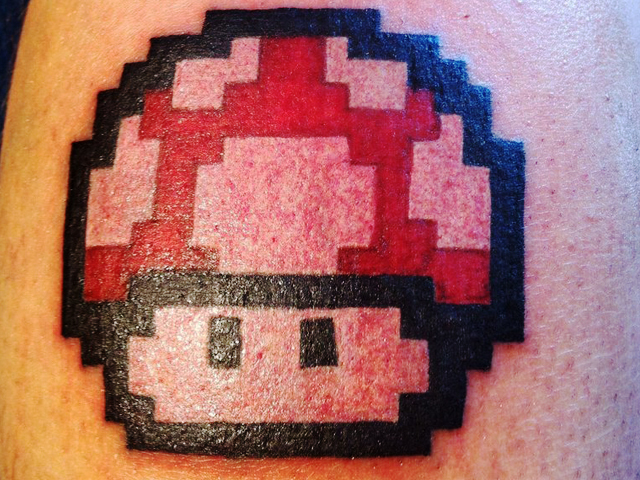 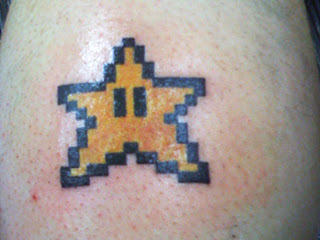 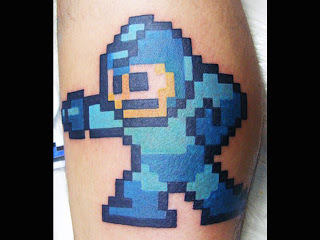 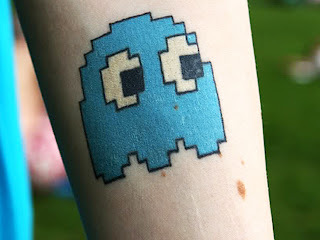 Here's the latest roundup of 8-Bit tattoos from the web. I'm kind of saddened that I didn't even find one pixelated butterfly on an ankle or lo-res dolphin jumping over a belly button. 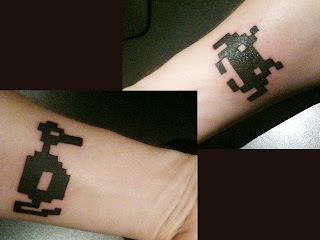 Click the pics for a bigger view.